Without the use of a defibrillator, Bernard Gallacher would not be alive today. The former Europe Ryder Cup Captain suffered a Sudden Cardiac Arrest moments before he was due to give an after-dinner speech in Aberdeen. The Sudden Cardiac Arrest stopped his heart, and it was only through the use of an automated external defibrillator (AED) that Bernard was able to survive, as this shocked his heart into a normal rhythm. This proved to be a life-saving intervention. While CPR increases your changes of survival by 9% when you have a Sudden Cardiac Arrest, both CPR and the use of an AED increases your chance of survival by more than 50%. Sadly, Bernard's story is far from an isolated one. Golfers across the country are at risk of suffering a Sudden Cardiac Arrest. Every year in the UK, Sudden cardiac Arrest is responsible for the deaths of 100,000 people, making it the nation's biggest killer. In fact, it kills more people than lung cancer, breast cancer and AIDs combined. Access to an AED would save thousands of lives every year. Recently, a defibrillator which Bernard donated to Bathgate Golf Club saved the life of a 44-year-old father of two, who suffered a Sudden Cardiac Arrest in the car park. Worryingly, though, nearly two thirds of UK golf clubs still don't have an AED on-site, according to figures from the Arrhythmia Alliance. Golf Care has teamed up with the Arrhythmia Alliance to launch the Saving Golfers’ Lives campaign. 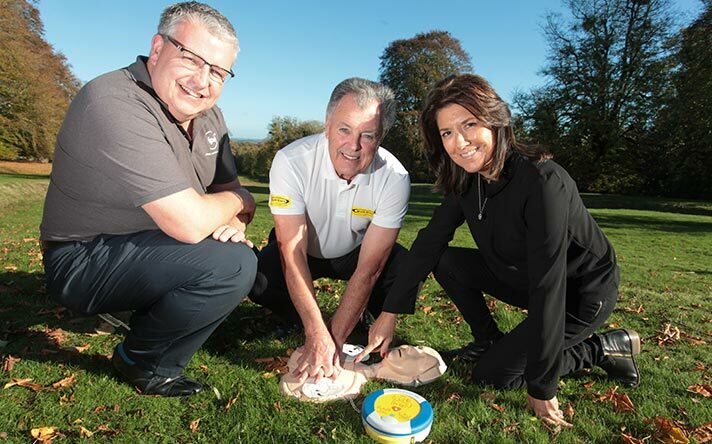 The aim of this campaign is to raise money to provide more defibrillators for UK golf clubs. We have donated an initial £1,000 to the charity and will make further contributions during 2019, in order to raise enough money to get AEDs installed in more golf clubs. We have created a JustGiving page, where you can pledge towards our campaign. Your donation, however big or small, will go a long way towards saving the lives of golfers everywhere. "Without a defibrillator, I wouldn't be here today. I'm in a very lucky position and I want to make sure that other golfers are just as fortunate as I was." 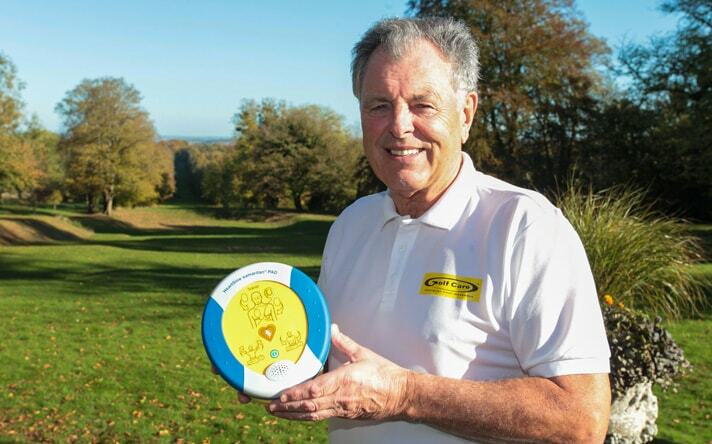 "Bernard's experience emphasises the importance of all golf clubs having a defibrillator. Cardiac arrest kills more people than lung cancer, breast cancer and AIDS combined." "Safety on the course is an issue we're passionate about at Golf Care. Hopefully, this campaign significantly reduces golf course fatalities and makes a lasting difference."